Divorce Attorney Tucson: Should You Hire an Attorney for Your Divorce? Once you have made the decision to file for divorce or you are presented with divorce papers from your spouse, it can be easy to feel overwhelmed by the number of decisions to be made. Should you remain in the home, or should you move out? What will happen with the kids? In addition to these questions, you may find yourself wondering whether or not you should hire legal representation to help you through this tumultuous time. 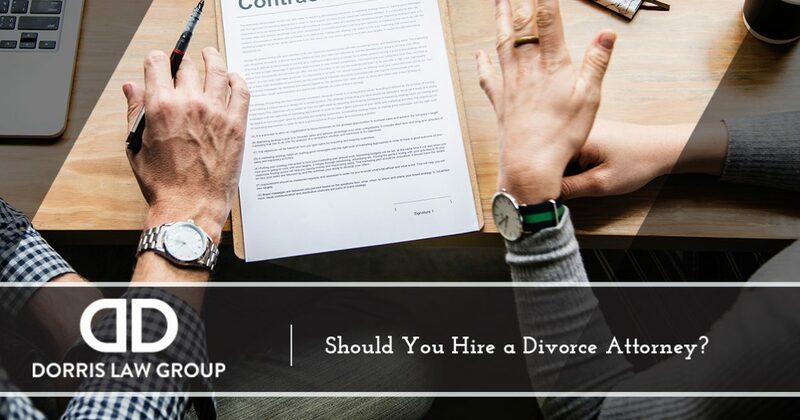 There can be many benefits to hiring a Tucson divorce attorney, and in today’s post, we’ll review a few of them. The Dorris Law Group prides itself on providing experienced divorce representation that offers a big firm experience with small firm attention. Request your free consultation with our team today to learn more about our divorce legal services. Your immediate needs and unique situation will dictate what is discussed and what actions are taken during your case evaluation. During your consultation, you will be able to get answers to your most pressing questions about the divorce process. Likewise, the attorney will have the opportunity to ask you questions to better understand your situation and device a legal strategy to move forward. Emotions run high during a divorce, and many individuals seek advice from friends and family related to the divorce proceedings. Receiving objective advice is important because it can help you make well-informed decisions about your future. Remember that friends and family may be biased, or they may be as emotional as you are about the situation. A divorce attorney will provide you with objective legal advice that was gained through years of experience. Arizona divorce laws are complex, and in the absence of experienced legal representation, you could do or say something that jeopardizes the integrity of your case. Attorneys who have been in practice for several years will also be familiar with the state’s litigious climate, the presiding judges, and opposing counsel. This knowledge can give you the edge you need in the courtroom. If you do not have any experience negotiating complex matters that involve high stakes, then you may lack the skill and tenacity to successfully negotiate matters of child support, child custody, and alimony. Even if you have skill in this arena, your emotional involvement in the case could prevent you from doing your best work. A divorce attorney will fight on your behalf to negotiate fair and acceptable settlements. Finally, a divorce attorney can be very beneficial when it comes to filing important documents related to your case. Without this professional assistance, it is all too easy to accidentally omit important information or fail to file essential paperwork on time. Not only can these errors be damaging to your credibility, but they could also cause the conclusion of your divorce to be delayed. Matters of child custody, child support, and alimony can be very complex if you are unfamiliar with Arizona laws and statutes. A Tucson divorce attorney can provide you with experienced legal advice, assistance in negotiating settlement terms, and timely filing of important paperwork to ensure the best possible outcome for your case. If you are uncertain whether or not you should hire an attorney to help you through the divorce process, we would be more than happy to speak with you about the details of your case. Call us today at 520-622-4866 — we look forward to speaking with you.